View from the Cheeky Corner Suite's terrace with hand-woven hammock and champagne bucket-style table. With roots that trace back to the 1800s, sailing vacations were once exclusive and decadent affairs for travelers with distinctive tastes. 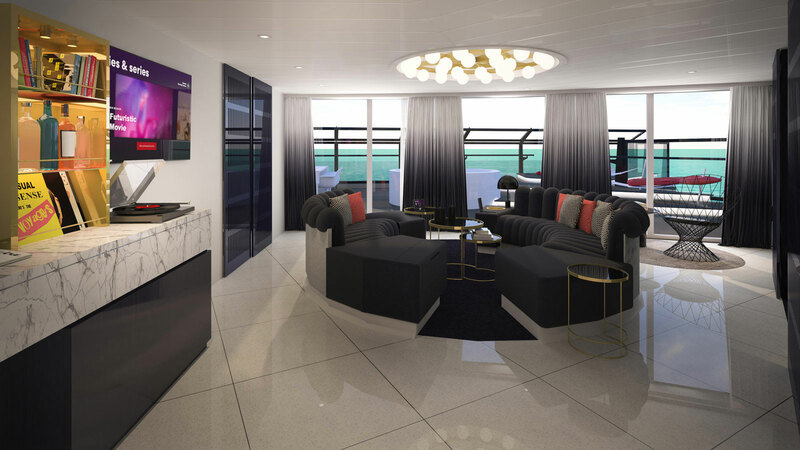 Today, the team at Virgin Voyages is tapping into the nostalgia of those historic days of sailing with the creation of the indulgent RockStar Suite offerings on board the Scarlet Lady, setting sail in 2020. While not just for the elite anymore, that legendary glamour has led the way for how these deliberately detailed, top tier spaces were meant to make Sailors feel. 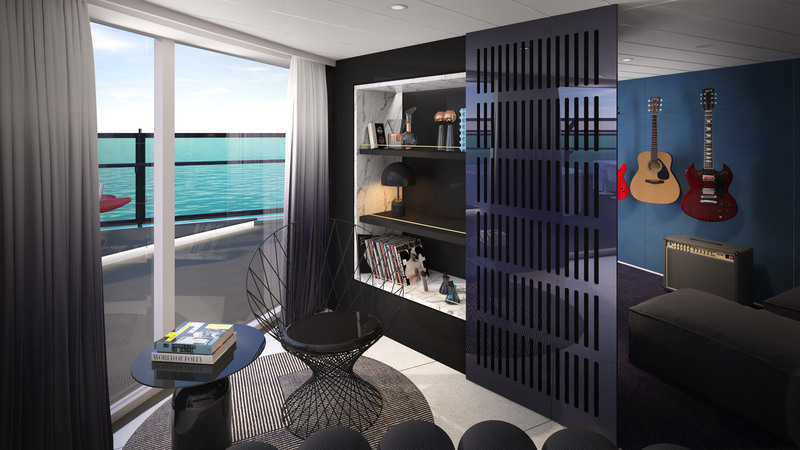 The living space in the Massive suite boasting a stocked in-room bar and turntable area. 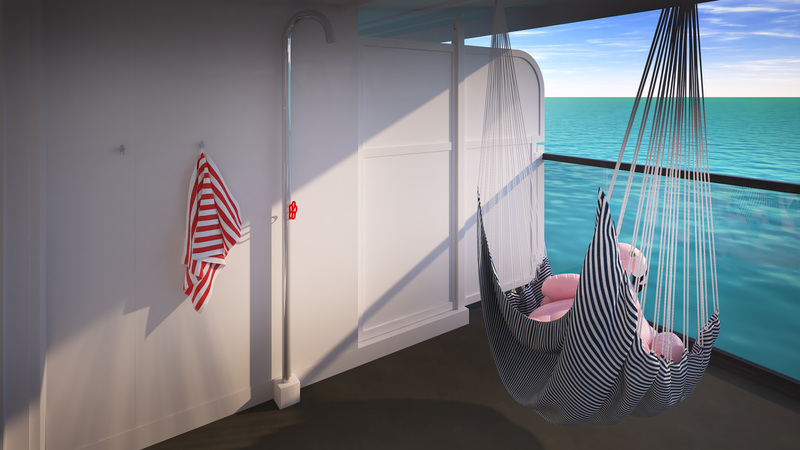 These spaces conceived by the team at Virgin Voyages in collaboration with world-renowned designer Tom Dixon of Tom Dixon Design Research Studio encourage connection with the sea while featuring all those details a Sailor might need to live out their rockstar dream (minus actually making that Grammy-winning album). Terrace featuring Peek-a-View shower and Yellow Leaf brand, hand-woven hammock. These 78 RockStar Suites include fifteen Mega RockStar Suites, named the Massive, Fab, Posh and Gorgeous Suites - all primely located on deck 15, just a deck below Richard’s Rooftop, a RockStar Suite Sailor only, exclusive Sir Richard Branson inspired top deck (and top-shelf alcohol only) cocktail lounge at the ship's forward facing section. 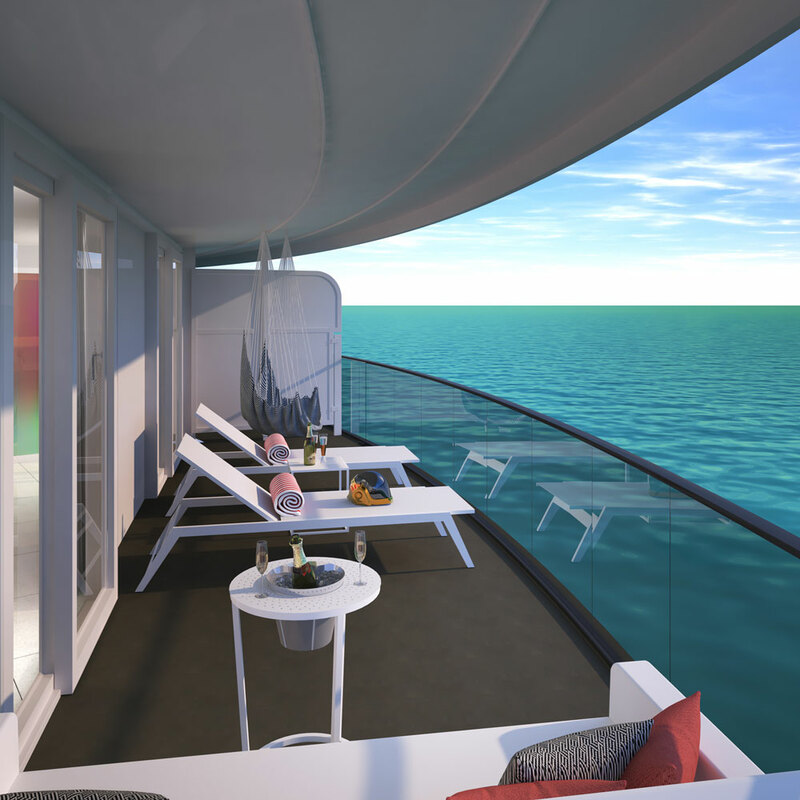 View out to terrace and into the music room in the Massive Suite. 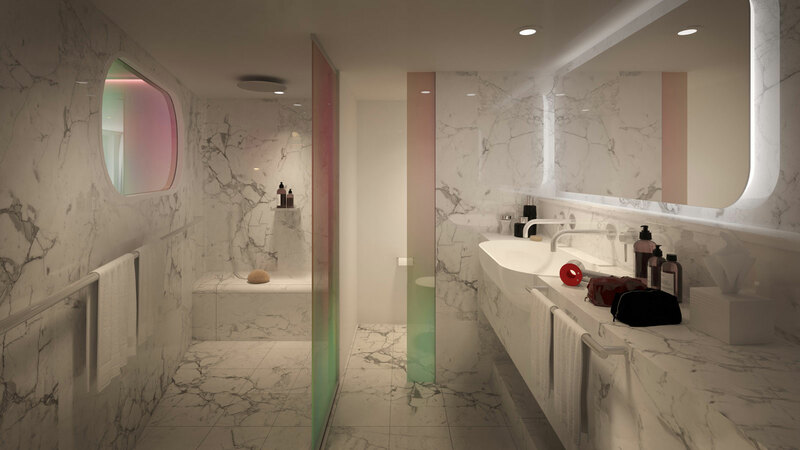 Top to bottom marble bathroom with dichroic glass window and door to shower.